Lawmakers convene for 2018 spring session. The first day of the spring session was Tuesday, January 30. 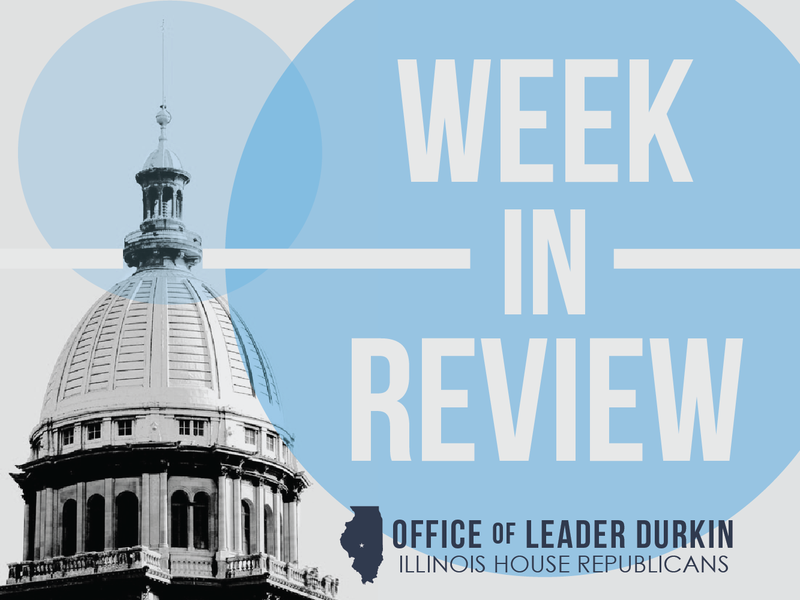 In addition to considering appropriation bills to make up the FY19 State of Illinois budget (for the fiscal year which starts on July 1, 2018), the Illinois House and Senate will consider many substantive bills. With Amazon.com considering Chicago as one possible location as the site for its second headquarters, the lawmakers will be eager to prioritize measures to improve Illinois as a place for job creation and enterprise. 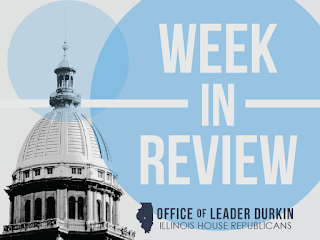 Continuing competition from other Midwestern states, especially Indiana, Missouri and Wisconsin, is expected to be a major theme of the session’s substantive bill work. The spring session will continue through May; the lawmakers are constitutionally required to attempt to wrap up their spring 2018 work by May 31. The Illinois House posts its schedules on the public Illinois General Assembly webpage; the schedules can be found here. Gov. Rauner concentrates on health of private sector. Illinois in 2018 represents what would be the world’s 17th largest economy if the Prairie State were an independent country – roughly equivalent, in national terms, to the economies of Spain and Canada. The progress of this economy formed the heart of Gov. Bruce Rauner’s 2018 State of the State address to a joint session of the Illinois General Assembly on Wednesday. Rauner reminded the lawmakers that Illinois is the home of 1.2 million job-creating small businesses, 36 Fortune 500 companies and 72,000 farms that plow 27 million acres of agricultural land. Illinois has 12.8 million residents, almost one-half of whom – 6.05 million – are in the nonfarm payroll workforce, making and producing goods and services that are in demand all over the world. Support for public and private education is a necessary part of continuing this record of achievement, and the Rauner administration and the General Assembly have increased funding for K-12 public schools by $1.2 billion. The administration last year proposed, and the General Assembly enacted, the Invest in Kids program to create tax incentives for donations to scholarship granting organizations that help high-achievement students obtain financial help to attend competitive private schools. The Governor called upon the assembled legislators and the Illinois public sector to live up to the standards set by the private-sector innovators who are working hard and creating jobs all over the state. This was Rauner’s fourth annual State of the State address since his term began in January 2015. Rep. John Cabello files balanced-budget enforcement bill. House Republican Rep. John Cabello, who supports moving the state towards balanced budgets, has filed a bill to enforce this movement. HB 4483 makes his own pay and the pay of his fellow members of the General Assembly contingent upon the passage of a balanced budget by June 30th of each year. Under current law, General Assembly pay is a “continuing appropriation” – meaning the pay is automatically appropriated whether or not a budget is passed. Cabello filed HB 4483 on Wednesday, January 31. Rauner issues executive order; prioritizes fight against sexual harassment in State workplaces. Executive Order 2018-02 makes the State Officials and Employees Ethics Act the controlling document over state workplaces with regard to state employee actions and personal conduct. This clarifies that the Ethics Act has priority over all other laws, rules, and regulations in the scrutiny and judgment of state workplace conduct. Labor-management collective bargaining agreements are explicitly made subject to the Ethics Act. The Ethics Act will be interpreted in close coordination with the state government workplace’s official Code of Personal Conduct to create a seamless weave over state workplaces in the expectation of professional personal conduct. This week’s Executive Order creates a Chief Compliance Office, within the Office of the Governor, to oversee and monitor employee and official professional conduct. The Office shall have a Chief Officer, a Chief Ethics Officer, and a Chief Diversity Officer. State employees are already required, through their Personnel Code, to immediately report allegations of sexual harassment to a supervisor, ethics officer, or inspector general. The Compliance Office will oversee whether these reports are being investigated and whether alleged offenders are being subjected to confidential internal identification and workplace remedial action. The executive order was filed on Wednesday, January 31. House Republican Rep. Barbara Wheeler calls for investigative action against industrial sexual harassment. Dramatic stories have been told of sexual harassment in Illinois private-sector workplaces, with several factories that make and assemble motor vehicles identified as locations of this conduct. Wheeler’s HR 783 responds to reports from the Ford Motor Company plant complex on the far south side of Chicago. The resolution, filed on Tuesday, January 30, urges the federal Equal Employment Opportunity Commission, the Illinois Department of Human Rights, and the U.S. Department of Labor to investigate the culture of harassment within workplaces organized by the United Auto Workers (UAW) labor union. The resolution describes multiple reports from the Chicago plant complex of incidents where UAW union representatives and union officials either allegedly ignored or allegedly participated in collective actions of gender-based and sexual harassment of women workers, and offers support for women workers who have endured such experiences at Ford Motor. House Republican Rep. Meier has filed HR 766 to oppose any imposition of a mileage tax in Illinois. Mileage taxes are supported by some who believe that the conventional use of a motor-fuel excise tax is not yielding enough revenue to maintain Illinois roads and bridges. New technology eyed for state information security. Blockchain software is software used to replicate unique digital identification data across distributed databases. The identification data is attached to packets of information, and are used by the entities that own or control the information for data filing and storage. Blockchain can be designed so that the identifier gets longer whenever a data packet is moved from place to place, and can identify where the data packet has been and who has looked at it. One well-known blockchain use is as a verification platform for users of the cryptocurrency “Bitcoin” to examine a bitcoin and assay its history and value. Blockchain software is generated by mathematical algorithms written through the use of a newly-invented family of global computer code. Blockchain is customarily wielded and used within the overall platform of a distributed-node or “cloud-based” system of data storage transfer. The General Assembly and Gov. Rauner’s administration are working together to examine the use of blockchain to enhance Illinois informational security. In a report to the General Assembly filed this week, the Illinois Blockchain and Distributed Ledger Task Force told the General Assembly that future Illinois citizens and residents will be able to use a blockchain-powered platform to access and store their identification information. Illinoisans will be able to access parts of the information and use these parts to talk to agencies that provide services and verify identity. The Illinois Department of Financial and Professional Regulation and the Illinois Department of Innovation and Technology worked with the Task Force to generate the findings and conclusions. House Republican Representative Keith Wheeler served on the Task Force and co-signed the report. The report was filed on Wednesday, January 31. “The Illinois Chronicles” published in February 2018 as celebration of state’s 200-year history. Meant to serve as a hands-on teaching aid and resource, “The Illinois Chronicles” centers on a five-foot-long foldout timeline of the two-century history of the Prairie State and the doings of some of the colorful personalities who have lived here. The timeline includes news-like articles to describe long-ago events, such as the rise of politician Abraham Lincoln, in a contemporary setting. The book and timeline have been prepared by the private sector and looked over by Illinois leaders in teaching and history, including executives at the Illinois State Board of Education and the Lincoln Presidential Library and Museum. The publication date of “The Illinois Chronicles” is February 14, 2018.